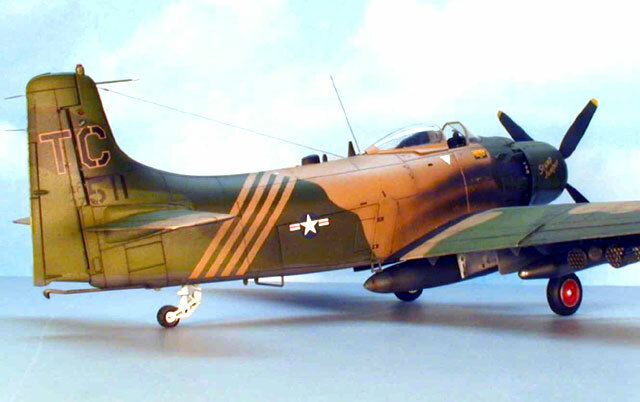 Here are several images of Tamiya's 1/48 scale Douglas A-1J Skyraider depicted as an A-1H. There have been many build-up articles presented, so I won't go into detail about the kit itself. I chose to model the Tamiya kit as "Stump Jumper", an aircraft serving with the 1st Special Operations Squadron, 56th Special Operations Wing, Nakhon Phanon, July 1971. AeroMaster Decal's "Air War Over Vietnam, Part VI" provided markings and color refs. 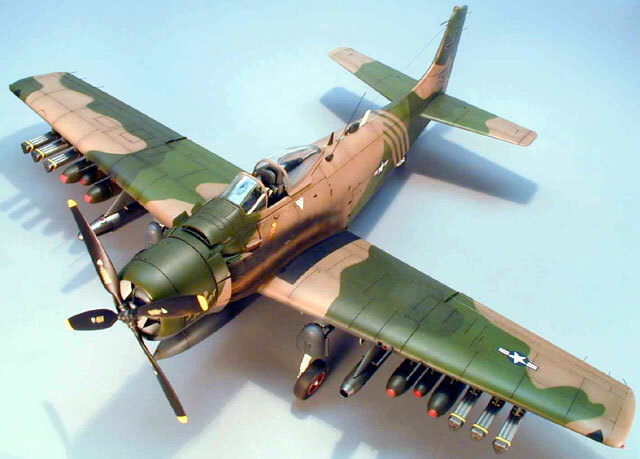 The kit was built using the box bits, with the exception of a KMC resin Yankee Ejection Seat and a single napalm canister pilfered from a Monogram Cessna A-37 Dragonfly.